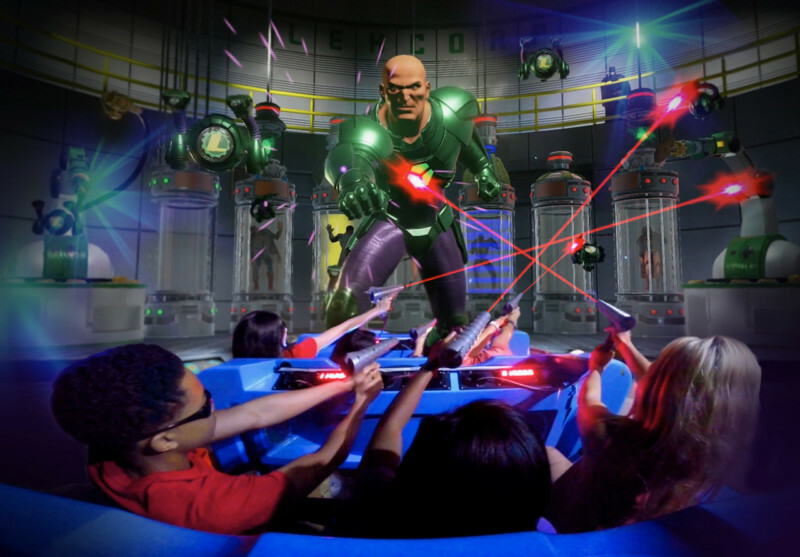 JUSTICE LEAGUE: Battle for Metropolis, Sally Corporation’s dark ride project for Six Flags Entertainment Corporation, was awarded the prestigious Thea Award for Outstanding Achievement. Given by the Themed Entertainment Association, it’s one of the industry’s greatest honors representing some of the finest achievements in the creation of compelling places and experiences. Already an industry award-winner, the mixed-media ride took home IAAPA’s Best New Product and the Impact Award in 2015, from rides at Six Flags Over Texas and Six Flags St. Louis. The seventh iteration, at Six Flags Magic Mountain is accepting the Thea award in April. JUSTICE LEAGUE: Battle For Metropolis is a story-driven adventure for guests of all ages. 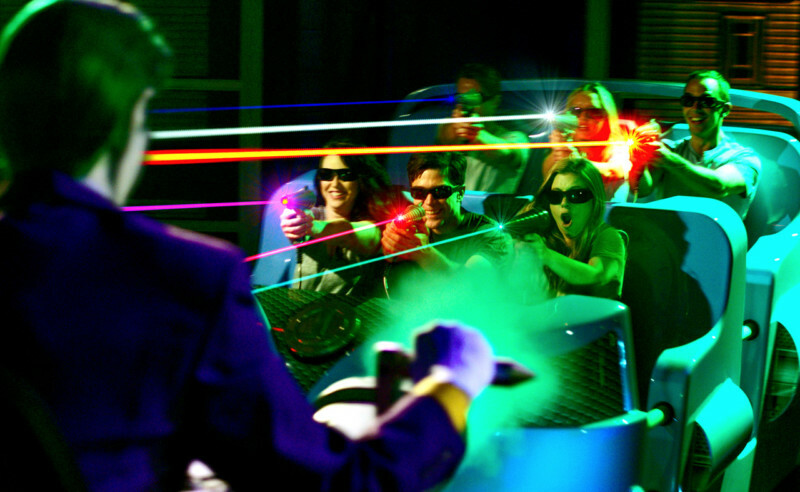 The state-of-the-art dark ride blends dimensional and animated sets, animatronics, 3D video, special effects, projection mapping, laser stun-blasters, interactive targets, a scoring system, custom soundtracks and more aboard custom motion-based vehicles. The ride now operates at seven Six Flags parks in the United States and Mexico. Six Flags, in partnership with Warner Bros. Consumer Products,DC Entertainments, called on Sally Corporation to lead the charge in the design and build of the seven JUSTICE LEAGUE attractions. Sally managed a “super-hero team” of subcontractors to complete the project. Alterface, Oceaneering Entertainment Systems, Wyatt Design Group, Techni-Lux, Inc., Pure Imagination Studios, RealD, and Forté Construction, and several others are being recognized for their work on the project. Rich Hill, lead designer of JUSTICE LEAGUE: Battle for Metropolis and Creative Director for Sally Corporation states, “None of this would have been achieved without the super-hero team of artists, engineers and technicians Sally enlisted to complete this monumental mission. Congratulations to everyone who helped bring this over-the-top theme park attraction to life!